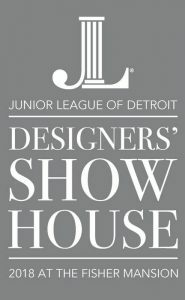 The Junior League of Detroit has proudly served the community for over 100 years. The Junior League of Detroit is a 501(c)(3) not for profit organization. No children under age 8 permitted, including babes in arms or strollers. No pets allowed. Regretfully, the house is NOT handicap accessible. Street parking ONLY available on Boston Blvd, Second, Third and Chicago Blvd. Please be respectful of neighbors’ driveways and private property. Do NOT block driveways or intersections.